We're not for profit and all for khair, join our family of patrons! Islam is a global religion, and Muslims deserve a global voice. We’re here to publish it. 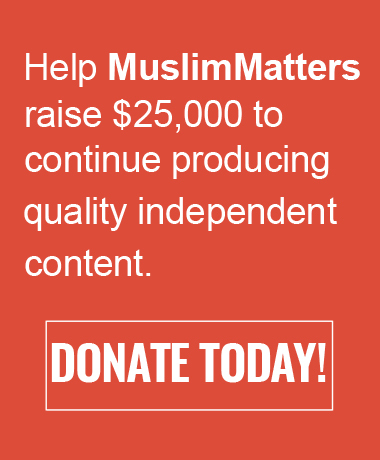 MuslimMatters is a not-for-profit platform dedicated to the voices of Muslims in the English-speaking world. Your donations keep this platform free to read, free to share, and freely accessible to our global audience. We’re here to amplify the voices of Muslims and their leadership in the English-speaking media, and in doing so, challenge the narrative otherwise built around us, but not with us. 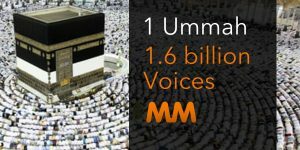 Alhamdulillah, with your support, MuslimMatters has seen tremendous growth, becoming your source for scholarly articles, expert analysis and hard-hitting opinion pieces. Since 2007, we’ve had over a 21 million visits (with 14,000,000 being unique visitors) and readers from over 190 countries, with 80% from US, UK, Canada and Australia. MuslimMatters is tax-exempt nonprofit organization 501(c)(3) that provides educational material, social commentary, and religious inspiration related to Islam and Muslims. You may deduct donations from your federally-taxable income; our tax ID# is: 26-3248086. You can make your donation by filling the online form below.